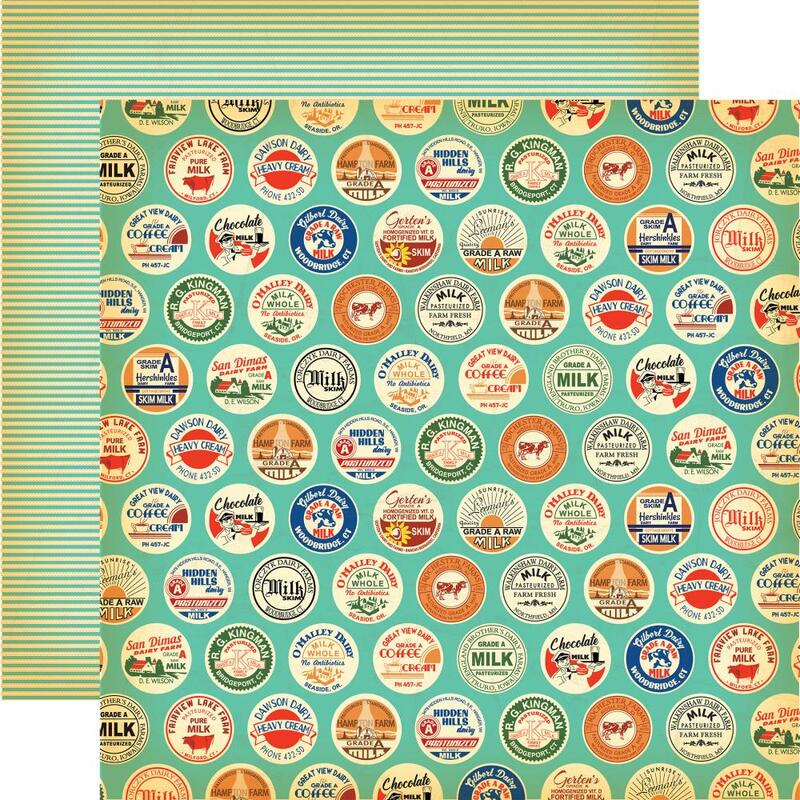 This 12x12 double sided paper has rows of Milk Cap on the frontside while the reverse side has Striped Pattern. Look for other coordinating products that include PhotoPolymer Stamp Set, Ephemera Die Cuts and Frames & Tags, Element Sticker Sheet and Designer Papers. Country Kitchen Collection by Carta Bella.